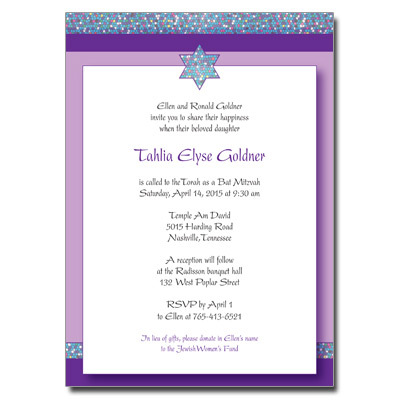 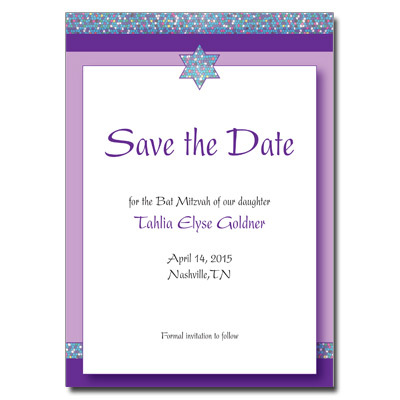 Perfect for your upcoming Bat Mitzvah, this invitation card is highlighted with shades of purple and colorful dots. 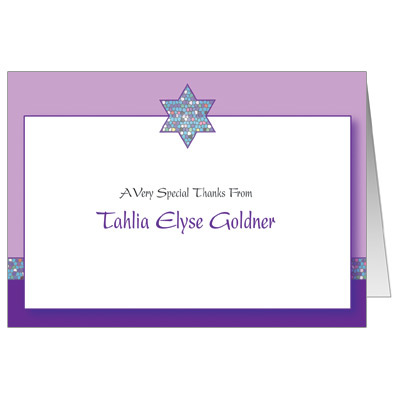 A perfect blend of modern and classy. 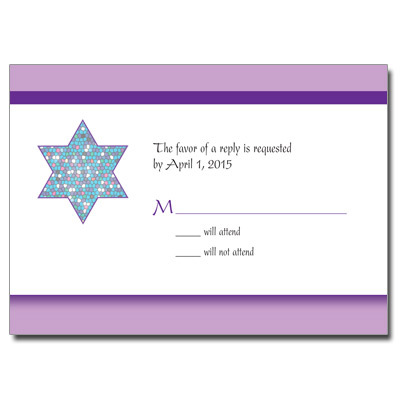 You will love this playful and genuine design. 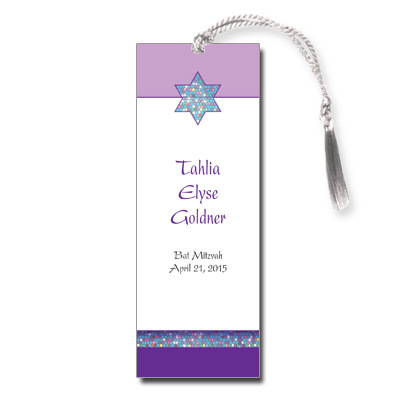 Invitations measure 5x7.